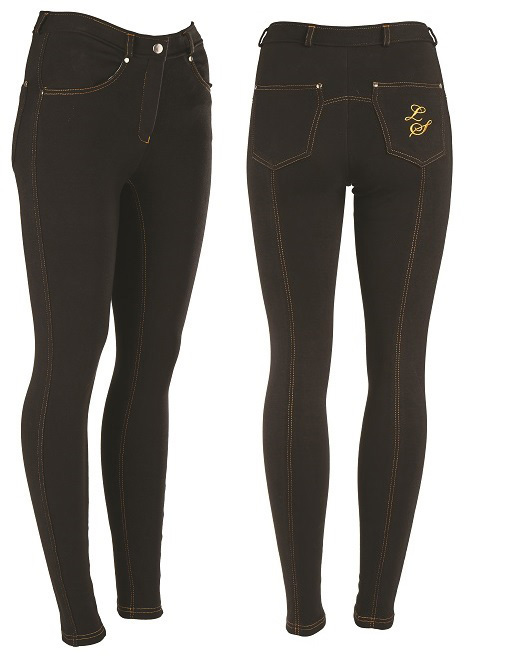 The Lifestyle collection of Junior jodhpurs are made to a very high standard using an advanced cotton/chinlon/spandex material with 4 way stretch technology. Reinforced and elasticated stitching is used, ensuring a comfortable fit and a hard-wearing jodhpur that will keep its shape. Style features include gold contrast stitching to seams and around pocket with feature gold LS initials to pocket. Junior Sizes: 20" to 30"